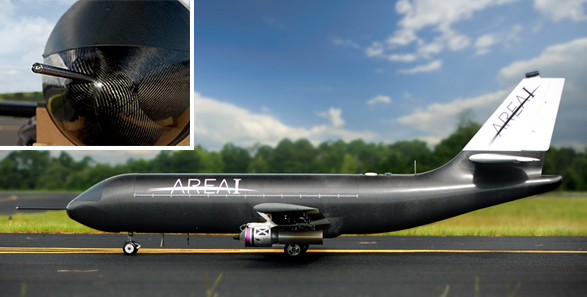 Area-I and NASA use the Micro Air Data System (µADS) to conduct flight testing on the Prototype Technology-Evaluation Research Aircraft (PTERA), an 11%-scale Boeing 737. PTERA was built to perform tests on unique aircraft designs that would pose safety and cost concerns if performed on fully-scaled, manned aircraft. Such research includes that being conducted for the Spanwise Adaptive Wing (SAW) project, which is testing a new shape memory alloy that would allow aircraft to fold their wings to different angles in flight. On board the PTERA, the Air Data Probe replaces a traditional boom with a pitot and vanes and the Micro Air Data Computer (µADC) provides real time calibrated air data. Area-I CEO Dr. Nicholas Alley noted that traditional air data booms have vanes that are “sensitive and fragile” and “have to be recalibrated constantly.” Additionally, small UAVs have extreme limitations on the size and weight of their components. For Area-I, Aeroprobe’s µADS provided the desired measurements with a “small footprint and easy integration” on-board the PTERA. 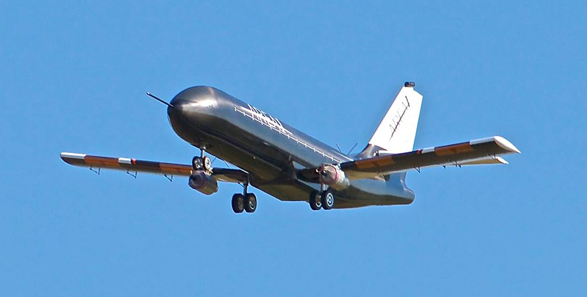 NASA was then able to effectively evaluate the aerodynamic stability and control of the aircraft from the data collected by the µADS, eliminating the need for wind-tunnel testing and the use of analytical computer models.